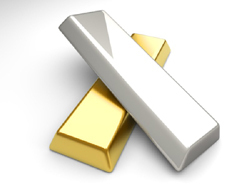 Gold and silver is precious commodity. In India yellow shining metal is considered as safe haven. Many people invest in gold either in physical form or in terms of gold ETF. Apart from investment in gold, we have some investors who invest in silver. Before few days question was asked in suggest a topic page by Samir saying he is big investor in silver and he is looking for historical price of silver. 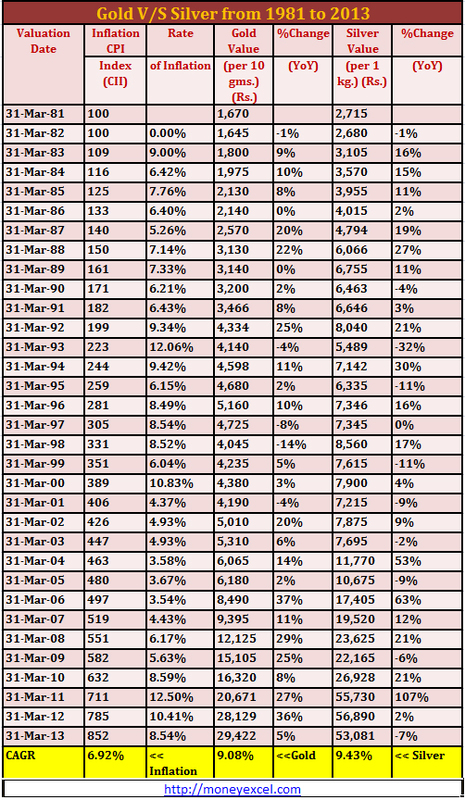 In order help many investors like samir we are here with details of Gold Price and Silver Price Historical performance and return details of past 32 years (since 1981). This historical performance shows gold value and silver value at end of every financial year including % change year on year since 1981. Hallmark is enough but make sure it is of approved standard. If I shel his jewellery bls marked , what’s my return values 100%or not , pl tel me. For Jewellery which is BIS marked you can expect market value as return.Please note you will lose making charges.